I’m a bit obsessed with window boxes these days. 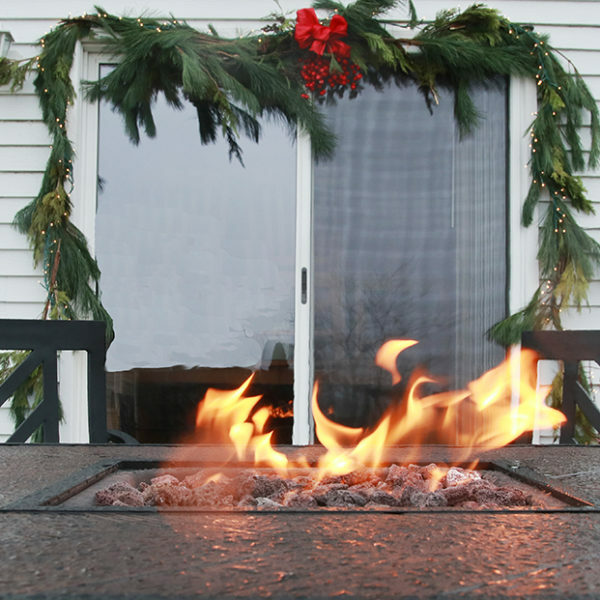 I think they are so charming and can cure a multitude of house exterior sins. If I were selling a house, I think a window box would be right up there on the must-do list for curb appeal. So, you might wonder, why am I just now putting a window box on my own house? I’ll be honest, I never even thought of it before. But then I was studying this drawing of the house (showing an exterior elevation of the house for some work we hope to do later in summer) and I was incredibly bothered by the fact that one of the windows is shorter than the others. It’s the kitchen window behind the sink, so it makes sense that it’s not as tall as the others, but from the outside it just looks wrong. Perfect spot for a window box! Once it’s installed and planted, I don’t think you’ll notice the shortness of it nearly as much. Plus, our house’s all-white exterior is a bit, um, boring, so a little color would go a long way. See that short window in the middle? Does it bother you as much as it bothers me? I think it’s begging for a window box. 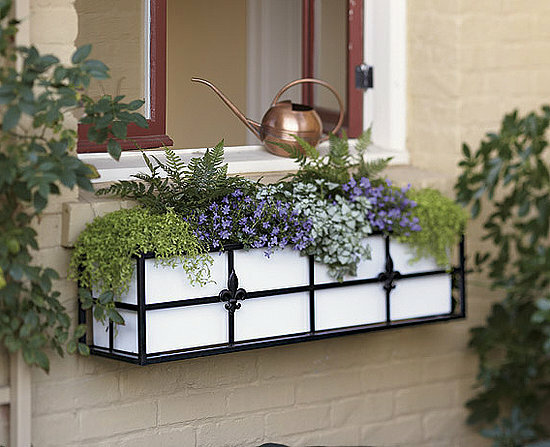 I love looking for container inspiration, so I’ve been enjoying my hunt for great window box ideas. 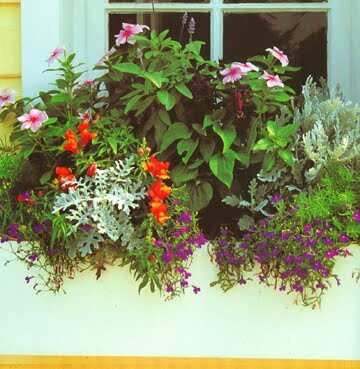 And even though I’ve never planted a window box, I know what I like and I can definitely tell what’s not quite right, just from studying photos of them. So here are a few design concepts to keep in mind if you’re going to be planting a window box. 1. 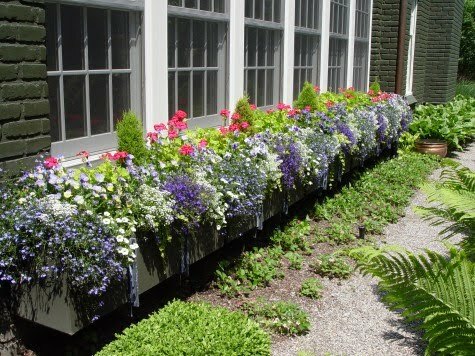 The more window boxes you have, the simpler the design should be. 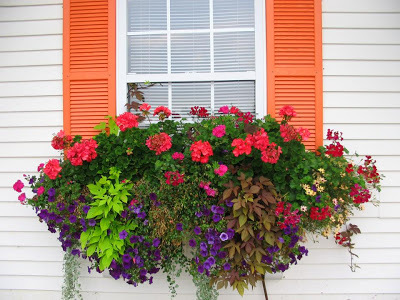 Window boxes are great but they are, as Tim Gunn would say, “a lot of look.” If there are too many colors or textures going on, your house is going to look like the little shop of horrors. Keep your plant choices to one, maybe two or three at an absolute maximum (and then only if they relate closely to each other, such as a light pink and a dark pink petunia) and then plant every box the same. I know it’s hard to pick just a few plants when there are so many great ones around, but pick one or two this year then do something totally different next year. Just don’t do it all at the same time. however, are a bit much for my tastes). 2. The higher your window boxes are, the simpler, and “bigger” the look should be. Euphorbia ‘Diamond Frost’ is a great container plant, but its fine texture will be completely lost in a window box mounted 15 feet in the air. Better to stick with a big, bold petunia or geranium. Keep it bold and simple if it’s going to be on an upper story. 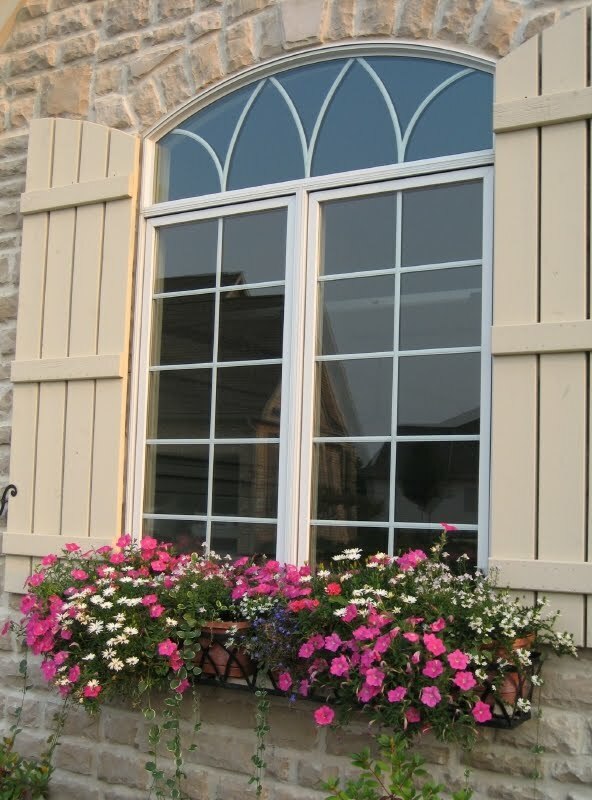 This is a gorgeous window box perfect for a lower window where it’s fine texture can be appreciated. Technically, this is a railing box, not a window box, but the same principles apply. There is a nice graduated effect in this box. Overall this is a very nice planting, but I wish there were more height in the middle. See how it’s a touch taller on the sides (like a camel’s back?) I just want to reach in there and yank up something in the middle to give it more height. 4. Move away from the sweet potato vine. ‘Marguerite’ is a hungry girl. She will eat all the other plants in your container for lunch. Sure, she’ll look great for a few weeks, but then she’ll get greedy. What you’ll end up with is a giant blob of lime green and nothing else. Judging from the photos I found, she seems to be even more aggressive in window boxes. A better alternative is one of the new sweet potato vines that are supposed to be much more well-mannered, or Lysimachia nummularia ‘Aurea’ (creepy jenny), which still offers that nice color. “Help, I’m being eaten alive by this giant green thing,” shouted the poor geranium. 5. Repetition, repetition, repetition. (See how I repeated that?) Pick a few plants and repeat them in your design. 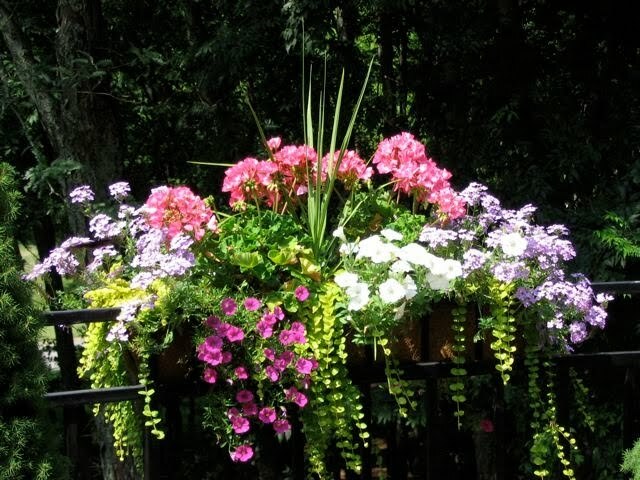 Whereas a patio container will look great with clumps of color, if you do that in a window box it will look off balance. Symmetry is a great thing in window boxes. There is WAY too much going on in this container. Keep it simple! 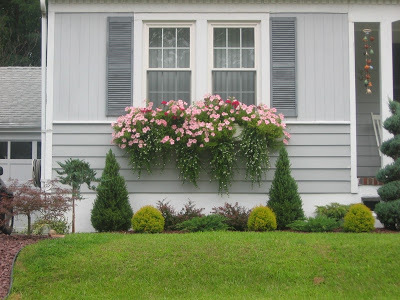 This homeowner REALLY likes symmetry, but this is a very simple window box (I count three different plants) that looks great. 6. Keep the conditions in mind. You can push the limits on a lot of container plants. For instance, a lot of times you can put a plant that’s really interested in part sun in a very sunny location in container as long as you are committed to watering a lot. You can also shade some plants in a container with other, taller, plants growing next to them. Or, you can rotate a container to give a plant that would otherwise be shaded a bit more light from time to time. But window boxes don’t move and they live in some pretty harsh conditions. Imagine how windy it can be on the top floor of house. Also, since they are against the side of the house, a northern exposure is going to get basically nothing in the way of light, whereas a container just a few feet from the house would at least get some light. My window box is going to be on the south side of the house. The south side of a very reflective white house. There is a very real possibility that I may fry all the plants to death. I plant to counteract this by using self-watering reservoirs in the box as well as making sure I pick tough plants that love sun. I love this full-sun container from DeWald Gardens. It has a beautiful mounding shape, sort of like an eye, that I find really pleasing. It has a huge pop of color with the coral red geraniums and purple calibrachoa (I think that’s what it is). The sweet potato vine (it looks like something other than Marguerite to me) is nice and I like how they used two different varieties, making it relate but not be TOO matchy. 7. Do what you love. I feel that containers are maybe the most personal part of a garden. More care is spent picking the plants for a container than almost any other part of the garden. Each is placed purposefully in a container and because they need so much attention, they are the plants we are most likely to study every day. So if any of all of those guidelines above don’t fit with what you want to put in a window box, then ignore them! If it looks good to you, that’s all that matters. And here’s what I love. These two window box plantings cover just about everything you’ve read above and another thing I haven’t even addressed, which is changing out your plantings seasonally. Both of these are by Deborah Silver and I think they might be the best window boxes I’ve ever seen. Please check out her portfolio of amazing work or her awesome blog Dirt Simple. See what I mean about repetition? It’s particularly important in a long series of window boxes like these. The height is perfect and there is the perfect amount of spillers. And if you thought I loved that design above, I almost can’t describe my love for this planting, full of ornamental kale and cabbage (Brassicas). I WANT this window box. Great ideas for window boxes! We don't have any on this house but now I may be rethinking that! Thanks! 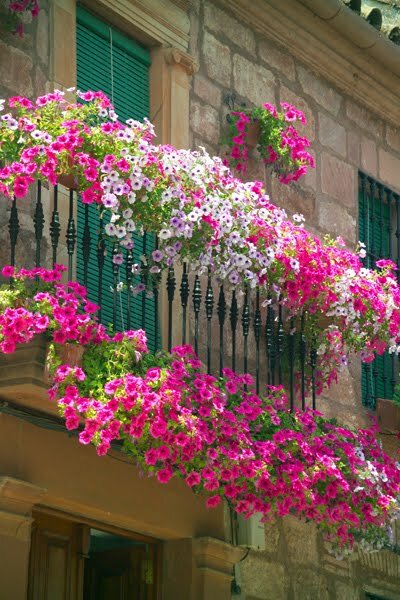 I've always had "window" boxes while living in Switzerland…, they were on the balcony, and I loved them. Lots of houses have them in Europe. You are so right; that last window box is lush, lovely and the one I would take if it was being offered! I also loved the boxes in the first image, but they were completely overshadowed by the bedding on the ground. Too bad. Erin, what a thorough and helpful post! The time you took to show all the different photos was wonderful. So helpful to see the different concepts illustrated so well. Very nice. Hello Erin! 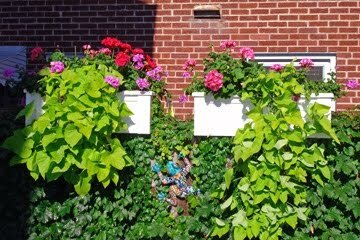 I found this awesome post on window boxes while trying to put together one for my own blog – so I just had to link this to mine! It's great, well done! 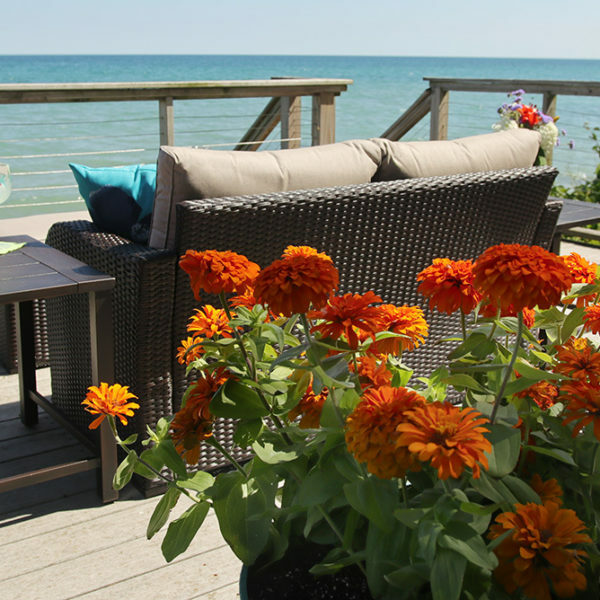 Create a feeling of outdoor rooms using custom planter boxes styled after your house's architecture. These are so creative but my fav, of course, is always something I can munch on and prune at the same time. That would make the kale box my fav. Beautiful! Could you please put on your blog how to attach a window box to a brick house? I pictured in my mind that after filling with dirt and watering, if not attached really well, it would fall down! Thank you!! 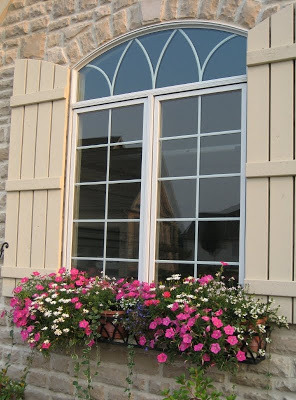 Did you notice that on Window Box #3, there were 2 containers….perhaps installing 3 containers instead of two, would have given more balance to the center…..I have this same situation at home. I have 72" to work with and usually use 2 containers of 36"….I'm thinking of switching to 3 – 24" contaners instead….. I agree … I think one long box or three that would essentially act as one would probably look better. Although it's a big difficult to tell without a photo from farther away to get the whole picture. The only thing to keep in mind is that the small the box, the more you have to water. I have 6 wrought iron baskets on my fence around my pool. Each at least 3' long with the grassy basket filler inside. So whatever I plant will get full sun. In the past I have planted wave petunias and million bells. I'm looking to mix it up with greens and a little heights. Any suggestions? Oh absolutely! That sounds like a great opportunity for some fantastic baskets. For height, consider either King Tut papyrus grass or Baby Tut. King Tut will get hugely tall, so that will only work if you really want that and if it's not too windy. Baby Tut is much more mannerly, but I think it's perfect in a pool setting. 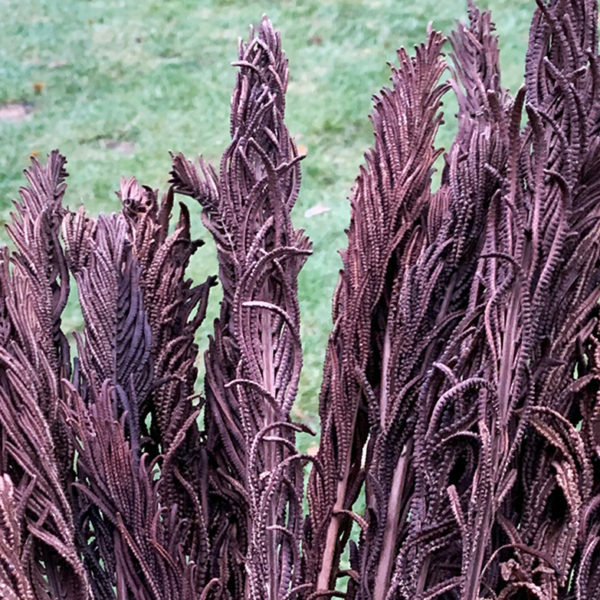 A sun-tolerant coleus (consider a red or purple leafed one) would be perfect as the "filler" and then I'd do something like creepy jenny alternating with million bells for the "spiller." I would stick to the same plants for each box or maybe do two coordinating schemes and alternate them between the boxes, but I'd stick with the same plants in each, just change the colors if you feel like it. A quick tip about Baby Tut (or King Tut): They are greedy little buggers and will take over as much space as you give them. I pot them into slightly larger containers than they came in (with a fair big of compost) and then cut off the bottoms of the pots and slit the side and sink the entire thing into the window box or container, sort of planting the pot. This gives it enough room to grow and take up nourishment and water from the soil in the container without letting it take over the whole thing and crowd out the rest. Absolutely, Kasey. Caladiums are great options for window boxes and come in a range of colors including some red hues. Begonias should also tolerate those conditions. I'd also consider shade-tolerate coleus. You might want to play around with texture a little and consider putting some hostas in there. And for something trailing, you could try nasturiums (which may or may not like it), asparagus fern and even some vinca vines are pretty rough and tumble. Good luck! This is the best overview of window box planters I have seen on the web. Hoping you can help me get mine to look great in the next growing season! Instead of window boxes I have two "driveway liner" boxes (permanently built into a front porch). So from the front of the house instead of a long view, the boxes are seen from the end view. Not so great. Fortunately they are slightly different heights with the one closest to the house being a bit higher. Any suggestions on how to arrange the plants so it "looks right" from the short end??? 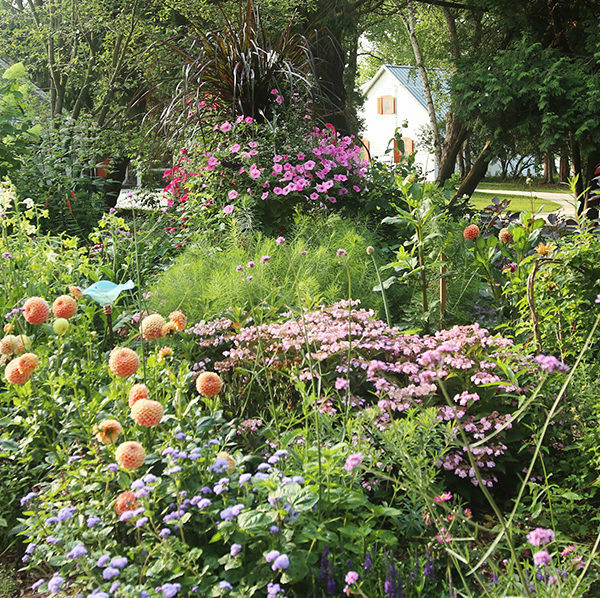 Obviously I need taller ones closer to the house and shorter down in front – but I would really like it to look natural rather than a predictable taller-to-shorter arrangement of plants. Also finding it hard to stick to a few plant choices with all the height variations that are needed. Help please!! Oh, actually this sounds like a great opportunity to do something really neat. Is there any chance you could email me a photo so I can get a better idea of the configuration? I'd love to help you. Send me a message at [email protected]. I am planning window boxes for the south facing windows of our 2d floor NYC apartment. Our neighborhood is a mix of apartment buildings and brownstones, so our windows get direct light for a few hours each day. Should I look for plants that tolerate sun or shade? I'm wanting to secure the boxes & plant in liners, so planting is easier, but I am struggling with the drainage issue. I don't want draining water to damage the building and I don't want the plants to sit in water and damage their roots. Are self watering boxes the only option? They look pricey for 7 windows. Thanks! Well, I think you've probably hit on the trifeca of tricky situations for window boxes, but don't be discouraged. So first off, the boxes themselves. You have to get ones with proper drainage. Anything else is just a recipe for disaster. I wouldn't worry about damage to the building: you're not really talking about anything more that what might happen when it rains. It's not like it's going to be a constant stream of water coming out of them. 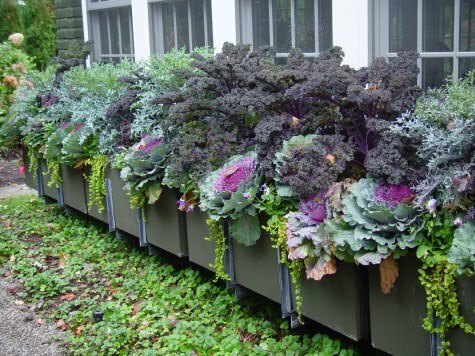 Self-watering boxes aren't the only option, but in a second story situation, I think you'll find that it's money well spent (and you want drainage holes with self-watering as well). These are the self-watering inserts I use in my window box. http://www.hooksandlattice.com/self-watering-reservoir.html There may be other options out there, but I can attest to that system working well. When you do buy or build window boxes, make sure to get them big enough. You want them to be wider than your window and hang them a little low, rather than right under the sill. This way you can have taller plants without obscuring the window as much. Deeper boxes are better as well because you have much more variety in planting and they don't dry out as quickly. If you can't afford to do all seven at once (because yes, that is going to add up) maybe you can split the cost over a couple years and do half this year and half next year? You might also want to look into a cleat system to hang them. This way you can attach the cleat to the building (which wouldn't be too hard to do through a window) and then you just hang the box on the cleat. As for exposure, that is really a tough one, and I suspect it's going to take a little trial and error. My inclination is to tell you to go for shade plants, because usually shade plants TOLERATE shade but are perfectly happy in some sun. But if it's a hot wall, that can be a challenge. Like I said, I think it may take a couple of seasons to really get a feel for what works there and what you like. I would suggest keeping your design a little simpler and consistent among all the window boxes for a nice unified look. I hope that helps a little! Good luck; I think it will be a fantastic addition to your apartment! From as young as I can remember my mother had me help her plant porch boxes for all the grandmothers,(greats, steps, exes all included). We always did it the Saturday before Mother's Day, sometimes in the wee hours of night or real early Sunday morning so they would all wake up Mother's Day to flowers. My mother, and ALL of those grandmothers have since passed away. I kept some of their porch boxes. Now my daughters know I want planter flowers on the Saturday before Mother's Day. I don't do as good of a job at it as my mother did. My question for you is: I have read that certain plants keep away ants and flying bugs when planted around the foundation of your home. However, I live beside a frequently flooding river that makes me hesitant to plant anything. If I plant in movable window boxes and line my foundation with them (to be moved when pending flood) would that work the same as actually planting in the ground? Also would theses plants grow together in a box? Basil for Stink and other bugs, Lavender and Geraniums for Mosquito and Flies, and Mint for Ants and Flies.